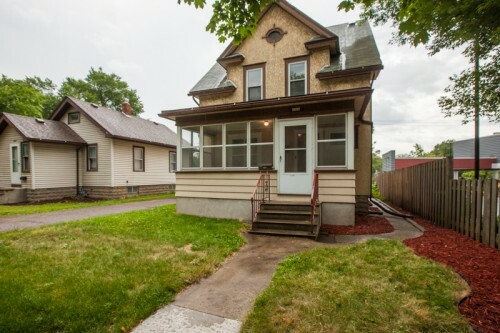 Four Bedroom Minneapolis Home For Sale - Charming 2 story starts with a big cozy front porch. Walk inside and you'll be greeted by features such as a beautiful kitchen with center island, 3 bedrooms upstairs, a private full master bath. The lower level has a 4th bedroom and oversized family room with interesting built-in shelving. You will feel right at home as soon as you walk in front door! Uptown Condo For Sale - Gorgeous condo in a spectacular location in Uptown, within walking distance of shopping, restaurants, parks, and the lakes! This condo features gleaming hardwood floors, beautiful woodwork and built ins, private owner's suite with private full bathroom, wood burning fireplace, laundry in unit, breathtaking views, and stunning details throughout! Cozy shared patio just outside the unit door. Inviting greenspace, patio and grilling area as well. 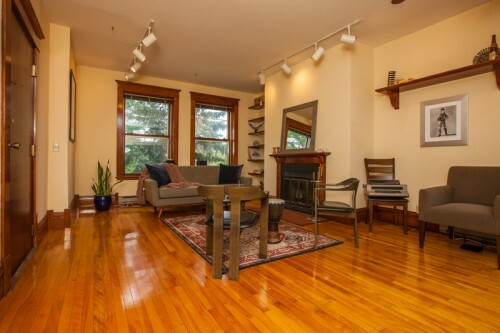 Calhoun Isles Condo For Sale - You will love this gorgeous condo in the sought after Calhoun Isles building! 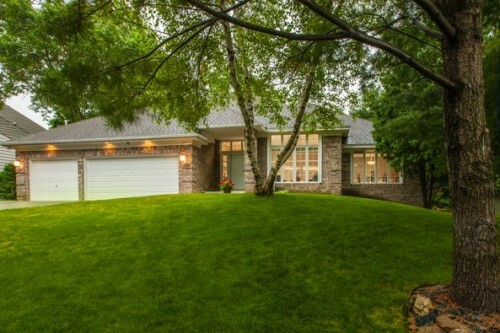 Incredible location, with access to the greenway and a park right outside the building, Cedar Lake, Bde Maka Ska, and Lake of the Isles w/in steps, and close to everything Uptown has to offer, but still tucked back into it's own private surroundings! Outstanding views from the large windows and private balcony. 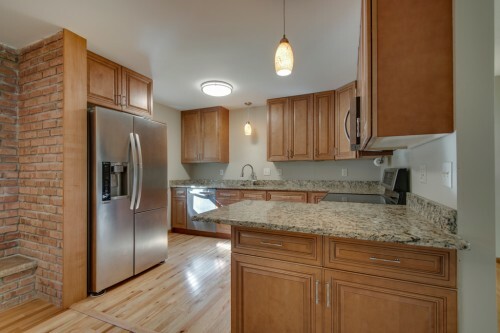 Beautiful, remodeled kitchen featuring granite, tile and stainless steel, in unit laundry and so much more! 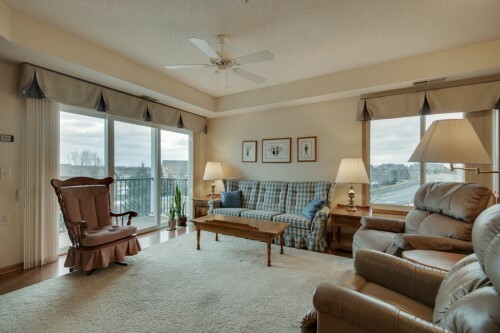 Gorgeous corner unit condo in Rosemount - Gorgeous, corner unit condo with great views from your private balcony and tons of amenities (party rm, exercise rm, library, workshop, craft rm, car wash, guest suite, and more)! Kitchen features tile backsplash and Corian countertop on the large island. Owners suite has walk-in closet, double vanity and large shower. 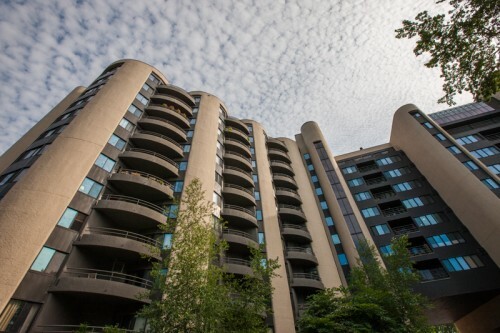 All living facilities on one floor, including a spacious laundry room in your condo. Elevator is very close to your unit and your parking space is just steps from the elevator. Two Bedroom Eagan TownHome - Gorgeous remodeled end unit townhome in the sought after Briar Hill neighborhood! Great location, close to shopping, restaurants, transit station, and parks! South facing with tons of natural light from the large windows and Solatube skylights in the kitchen and walkthrough master bath. Almost everything has been updated, new flooring throughout including in floor heat in the downstairs bathroom and entry, remodeled kitchen featuring Silestone countertops, remodeled bathrooms and so much more! Gorgeous Apple Valley Condo For Sale - You will love this gorgeous condo with outstanding views from your private deck of the courtyard, in-ground heated pool, and picnic/grilling patio! 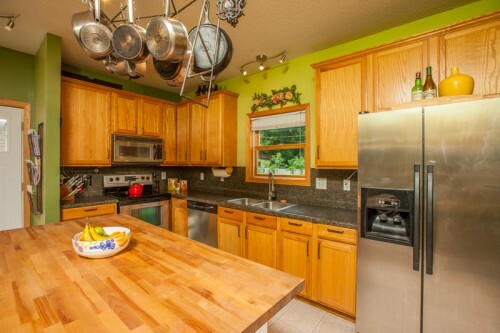 The kitchen has been updated to include newer appliances and tile backsplash. Spacious rooms throughout with lots of natural light. Great location, close to shopping, restaurants, and parks! Gorgeous End Unit Lonsdale Condo For Sale - Gorgeous, end unit home with soaring ceilings, an open floor plan, and tons of natural light! One level living, with private patio, inviting breakfast bar, laundry in unit, spacious rooms including huge master bedroom with walk-in closet, separate large storage unit, and so much more! Indoor access to private garage. Spacious community room with kitchen as well! 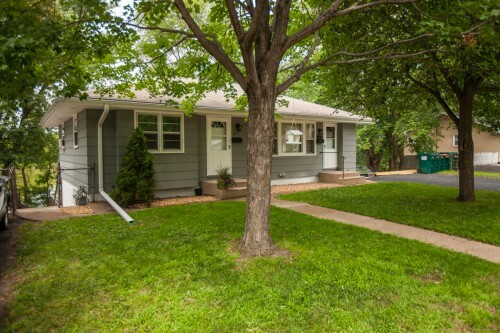 Charming St Paul Home with Gorgeous Woodwork - This charming home boasts stunning woodwork, gleaming hardwood floors, stained glass windows, and remodeled kitchen featuring newer cabinets, tile backsplash and stainless steel appliances, and a newer furnace! 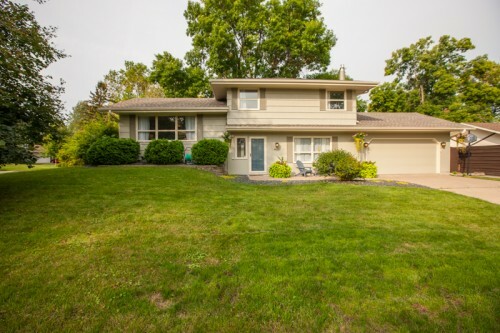 Great location, close to downtown St Paul, restaurants, parks and the airport. Three bedrooms on one level plus a bonus third floor space great for office, kids playroom, or whatever you choose. Large private yard with a workshop under the garage. Gorgeous New Hope Home For Sale - You will love this gorgeous home set on a beautiful corner lot! This home features three bedrooms on one level, an open floorplan, a spacious kitchen with breakfast bar, a gas fireplace in the family room, an inviting bar area in the family room, and a wonderful three season porch that leads out to the two level maintenance free deck and private fenced in yard! Columbia Heights Duplex - Welcome to this beautiful side by side walkout duplex with lake views and a walking path in the backyard! You will be amazed at how well this home has been cared for. Enjoy the beautiful new floors and carpet, attractive light fixtures, walk-in tiled shower, eat-in kitchen and 3 generous bedrooms. Relax on the deck while taking in nature and lovely views of Lake Sullivan, all right in the city! Second unit features 1 bedroom and 1 bath for supplemental income and rents very well. Fantastic 2 story foyer welcomes you into this cus - Fantastic 2 story foyer welcomes you into this custom home at the end of a quiet cul-de-sac. Gorgeous maple woodwork throughout main level, including kitchen with large center island, corian counters and all new stainless steel appliances. Wood fireplace and heated floors in 4 season porch which leads to dual decks overlooking the expansive wooded backyard with enough space for a medium sized ice rink. Lower level features custom bathroom with heated floor and steam shower as well as a gigantic living room. Easy access to walking/biking trail. New furnace and A/C. Move-in ready! Gorgeous Bloomington Home- Sought After South Bay - Beautiful rambler located in sought-after South Bay, close to Bush Lake and walking trails. Open floor plan with stainless steel appliances and granite counter tops in kitchen overlooking the great room. The porch and patio overlook the wooded back yard. Lower level is totally finished with family room, guest bedroom and office or 4th bedroom, plus an exercise room and lots of storage. The three-car garage is finished with a heater and air conditioner installed. 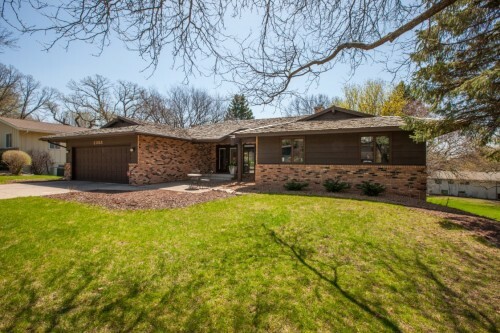 Gorgeous Remodeled Edina Home For Sale - ** Open House Saturday June 2nd from 10:00 until 1:00 and Sunday June 3rd from 2:00 until 5:00 ** You will love this gorgeous home in a sought after neighborhood, within walking distance to two parks, and close to shopping, and restaurants! This home boasts an open floorplan, spacious rooms, remodeled kitchen, new Acacia wood flooring, new carpet, a huge screen porch, inviting fenced in yard with hot tub, and so much more! The stunning, completely remodeled kitchen features granite countertops, glass tile backsplash, stainless steel appliances, and a beverage center with beverage fridge. 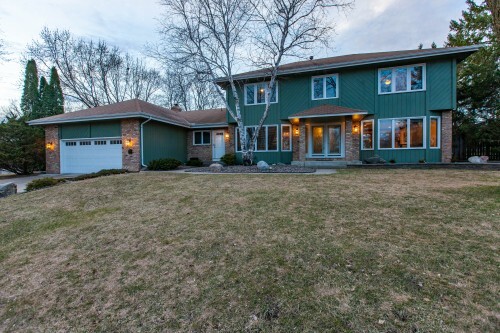 Gorgeous Plymouth Home For Sale - Prepare to be impressed! Whether you want to work from home, host movie night, or run/play/swim in the backyard, this home has a space for everything. The open floor plan encourages conversation while providing options for formal and informal gatherings. Four spacious bedrooms upstairs. Beautiful Owners Suite features a walk in closet with Elfa organizational system (also in two other bedroom closets) and a stunning private bathroom with in-floor heat, tile surround shower with niche, frameless glass door, and quartz countertop double vanity. The lower level was finished with high end touches including custom cabinetry, electric fireplace and home theater. The best part though, is unwinding in your private, backyard oasis. Given the extent of recent updates, you can simply move in and enjoy. 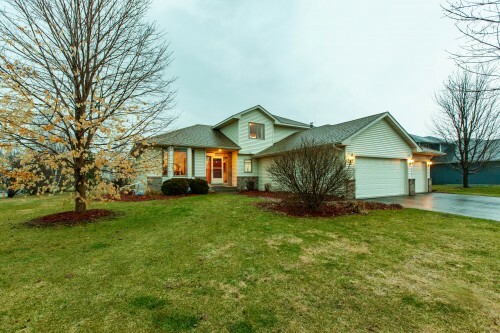 Gorgeous Hastings Home For Sale - You will love the attention to detail and the extensive upgrades this beautiful, one owner home has to offer! The open floorplan has lots of natural light through the large windows througout and a intuitive layout. The large kitchen features Silestone quartz countertops, stainless steel appliances, custom oak cabinets, plenty of cabinet space and an inviting breakfast bar. The living room also features custom cabinets, surround sound system, and a cozy gas fireplace. The spacious mudroom includes washer and dryer. Three spacious bedrooms upstairs include an owners suite with huge walk-in closet and private owners bathroom. The basement is unfinished and ready for your finishing touches, plus is roughed in for a bathroom and has an egress window already. The backyard oasis features a stunning paver patio, raised garden bed, and is tree lined for privacy, shade and wind protection. Remodeled Crystal Home For Sale - Impeccably remodeled home with convenient, open layout features warm, hardwood floors throughout, custom kitchen with granite countertops, stainless appliances, and gorgeous backsplash. The luxurious, tiled bathrooms with superior finishes exude a spa-like feel. No detail was spared in this remodel - even the laundry room has beautiful tiled floors! There are also 3 bedrooms on one level, a mud room, an open living room, 2 family rooms, a big driveway and patio area, and Yunkers Park in your backyard! Remodeled Bloomington Home For Sale - Gorgeous, remodeled home in a sought after neighborhood, close to parks, shopping, and restaurants! You will love the stunning new kitchen featuring granite countertops and stainless steel appliances. This home also features gleaming hardwood floors, tons of natural light through the large windows, three bedrooms on one level, an inviting four season porch, deck overlooking the spacious yard, and so much more! Beautiful Home w/ Outdoor Oasis in Savage For Sale - You will absolutely love the beautiful outdoor oasis in this gorgeous remodeled home in a sought after neighborhood! A wonderful park, walking and biking paths, and sunset pond all within a short walk! The outdoor oasis features an inviting pool, maintenance free deck, patio with trellis, your own private beach and so much more! 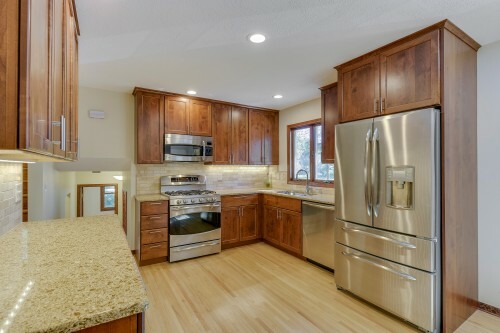 Stunning remodeled kitchen with granite and stainless appliances. Remodeled bathrooms with tile shower surrounds and granite. Comfortable and inviting inside and out! 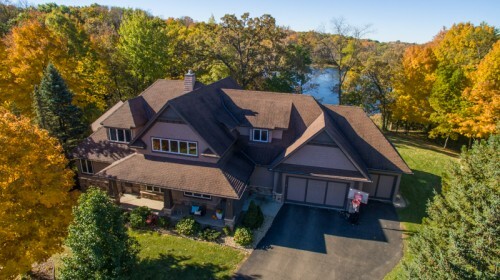 Minnetristra Lakefront Home for Sale - Unwind in this private, picturesque retreat on over 2 acres on Saunders Lake. This impressive home has the space and modern amenities you dream about with extra attention paid to finishes like the two-tone trim, gourmet kitchen, master suite with lake views and convenient, open layout. Bask in nature and sunsets over the lake from the deck or through the panoramic wall of windows next to the cozy, double sided fireplace. This idyllic setting is only available due to relocation.